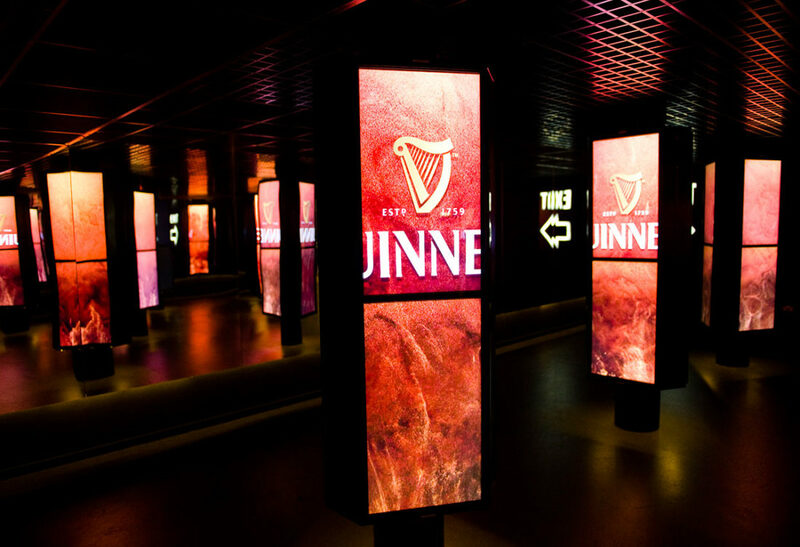 The Guinness Storehouse wanted an immersive experience to liven up the exit of their exhibition. Thought Different designed a truly immersive and interactive space with the help of 72 screens mounted in Toblerone shapes. 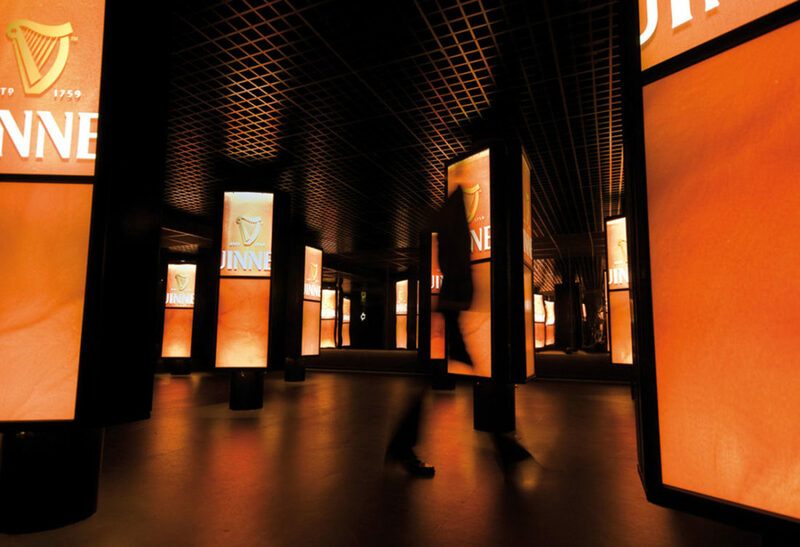 As you walked by the screens they would explode in a Guinness surge and light up the space. 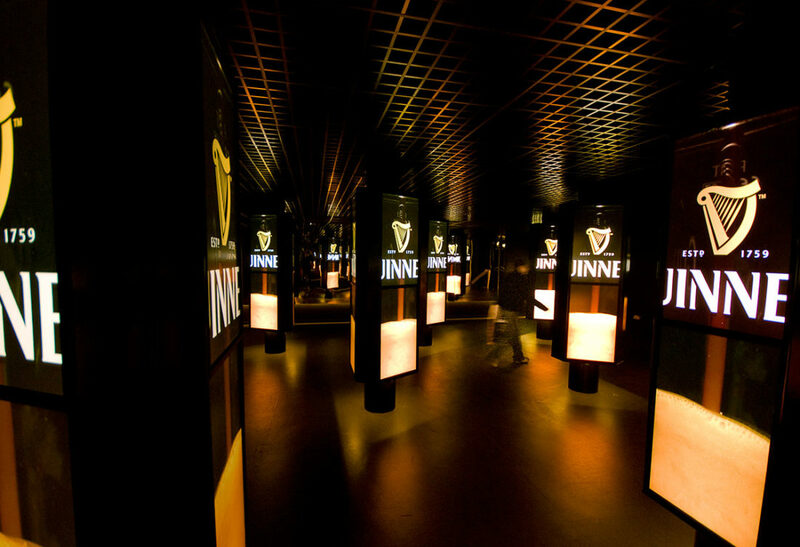 Every few minutes the entire space would be taken over and the entire room would be filled with pouring and settling pints of Guinness.